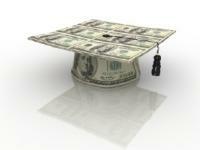 Find free federal money for college. It is possible to apply for a Pell Grant online. You do not have to repay this type of college funding and it can help to cover a significant portion of your college costs. Anyone can apply for the Pell Grant, though not all will receive approval for it. There are three types of federal student aid: grant programs, work-study programs and student loans. A Pell Grant is a form of federal student aid. Like most other federal student aid programs, the United States Department of Education's Office of Federal Student Aid manages the Pell Grant program. The Federal Pell Grants are only available to undergraduate students in most cases. They are also only available for a lifetime maximum of 18 semesters or the equivalent at your school. If this may help you to pay for school, and you feel you meet the eligibility requirements for a Federal Pell Grant, do apply for it. To apply for a Pell Grant online, you will need to visit the Free Application for Federal Student Aid (FAFSA) website. This website is the application hub for all federal loan and grant programs. Individuals must fill out a comprehensive application. The application process for student financial aid is quite thorough, but it is a relatively easy process that should only take a few minutes. The application will require that you provide both personal and financial information for you and your family. However, you can apply through FAFSA's website; it is a secure website that protects your personal information. After your application to FAFSA is complete, the next step in the process is to wait. Once you submit the application, the process begins and this application does all of the work for you. Based on the information you provide, it will tell you what types of loans and grants you qualify to obtain. With Federal Pell Grants, your income, educational goals and current standings will play a role in determining if you are eligible. The information from a FAFSA application is not always immediately available. In some cases, the process may require additional information. FAFSA will notify your school of any grants or loans for which you qualify. This process may take several weeks. If FAFSA approves your application for a Federal Pell Grant, the FAFSA sends the funds directly to your school. This usually happens at least two times per year. The school then credits the funds to your account or the school may issue a check to you. If you do not receive immediate approval for a Federal Pell Grant, you may be able to reapply or request an investigation into your situation. However, this does not guarantee that you will receive the funds. The FAFSA awards these grants primarily to those who demonstrate the greatest need for the funds based on their financial status. As you consider all of the options for paying for your college education, keep in mind a few more tips and pointers for applying. Always provide only accurate information on your application for financial aid. You may need to validate this information in advance of getting the funding. If you do not qualify for the Federal Pell Grant program, you may still qualify for other loans, grants and programs through FAFSA. At the time of your application or after, the FAFSA will provide you with information on which types of financial aid you do qualify for. Do look to third party grant providers, scholarships and other sources of financial aid outside of the government programs. These programs can be lucrative and may offer additional funds to pay for your education. The best resource for additional and personal information regarding Federal Pell Grants, the application process or financial aid programs in general is your school's financial aid office. They can help you to apply for all types of financial aid you may qualify to obtain.